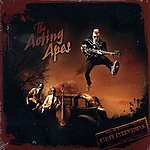 First album from Psychobilly youngsters ACTING APES! Modern Psychobilly with influences from Punk, The Living End and The Peacocks! !